The UK will increase aid for education in developing countries by 50% to £75m per year, International Development Secretary Penny Mordaunt will promise. The government has faced criticism over its ring-fenced commitment to overseas aid – and this announcement marks a new emphasis on education projects. Ms Mordaunt said supporting schools in poorer countries was a “hard-headed” investment in a more prosperous future. 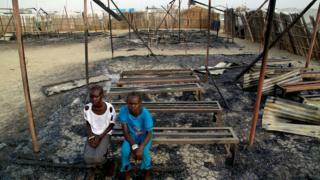 But aid agencies warned the amounts promised were still insufficient. Ms Mordaunt will make the announcement of £225m funding over three years at a global education conference in Senegal, hosted by France’s President Emmanuel Macron and Senegal’s President Macky Sall. This event will see international leaders promising funding for the Global Partnership for Education (GPE), which works with developing countries on raising standards in education. Julia Gillard, former Australian prime minister and now chair of the GPE, said that by “increasing by 50% its commitment” the UK would give “millions of children an opportunity to go to school”. The UK government’s previous contribution has been £52m per year and up to £75m per year will now be offered. But there were aid agencies who questioned whether such a full amount would be delivered, as this will be conditional on the level of contributions from other countries. If these other contributions from donors are not sufficient, as has happened previously, aid agencies warn that there will be no significant increase in the level of UK funding. Ms Mordaunt will say that the UK wants to help prevent the “terrible waste of potential” when “half the world’s children leave primary school unable to read or write”. The UK’s support will aim to keep 880,000 children in school for three years, including in countries caught up in political violence and war. The funding will build 2,400 classrooms and train 170,000 teachers. 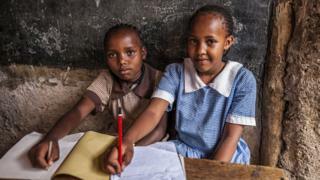 There will be an emphasis on teacher quality – after warnings from the United Nations that millions of children were attending schools in sub-Saharan Africa, but were leaving without even learning the basics. What’s it like to learn to read at 60? “We need an education revolution, but to succeed in tackling this global learning crisis, we will not just need to be open-hearted – we need to be hard-headed too,” says Ms Mordaunt. “The UK will lead the way by supporting countries’ governments to fundamentally overhaul their education systems to make sure they can ultimately step up and provide a good education for their own people. In the autumn, the international development select committee called for the UK government to give more of its aid budget to education. A report from the committee said that at present about 7% of UK aid was spent on education. It called for this to increase, arguing that improving schools and teaching would provide a more long-term and sustainable approach to development. Kate Osamor, Labour’s shadow international development secretary, said: “While it may sound like a lot of money, this is a deeply dispiriting announcement from the government”. She said that the amount promised would leave the GPE without enough funding was “surrendering Britain’s reputation as a global leader”. 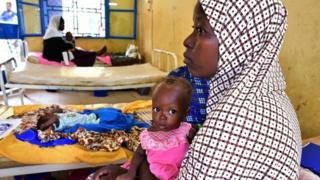 Aid campaigners have called for a bigger increase in financial support from the UK to match the scale of the challenge. The One campaign, which works to reduce poverty in Africa, says that this pledge is less generous than the previous funding round in 2014, when £300m was promised over four years. But this was conditional on levels of funding from other donor countries – and when this was not forthcoming the amount given by the UK was about £50m per year. This week figures from Unicef showed that almost a third of young people living in countries affected by conflict, mostly in Africa, were illiterate.